Ayako will be presenting her PhD proposal today, Friday April 25, at 10am in room 934 on “the relative importance of the atmosphere and the ocean in controlling Western European climate variability and their couplings”. All are invited to attend. Published by Michael Havas on April 25, 2014 at 8:20 am under Uncategorized. Our very own Jaime Palter and Casimir de Lavergne are making waves with a new article titled Cessation of deep convection in the open Southern Ocean under anthropogenic climate change. Read more about it in the McGill NewsRoom. Published by Michael Havas on March 10, 2014 at 12:32 pm under announcement. the more formal conference presentations that we are accustomed to. and on the methods that could improve QPF. little skill in forecasting rainfall at scales lower than 100km. 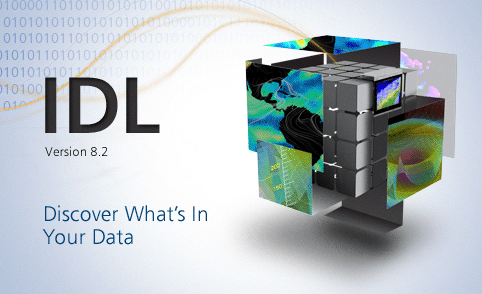 scales, no single parameter explains the largest forecast errors. forecasting results are satisfactory, while below it QPF skill is poor. Published by Michael Havas on January 15, 2013 at 2:40 pm under event, seminar. HDFView is now available ! To use HDFView, please issue ‘hdfview’ on all 64-bit computers in our department. Published by Michael Havas on January 12, 2013 at 2:45 pm under announcement, IT. 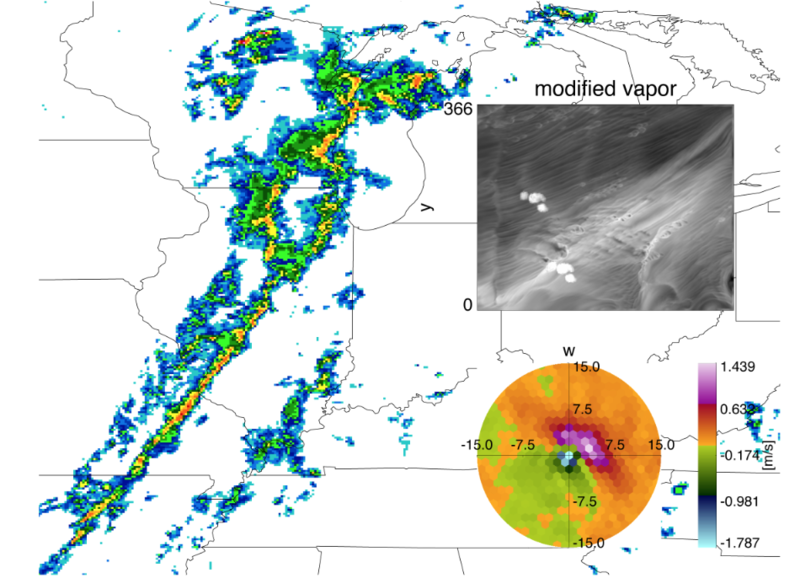 A brief history of National Severe Storms Laboratory and the evolution of research activities there. The use of Doppler radar and GOES satellite data as an observation tool for detecting thunderstorm initiation and precipitation systems, land-use interaction with the boundary layer, monitoring surface wetness and wildfires, and challenges in numerical weather forecasting will be discussed. Ideas for collaboration with projects will be explored. Published by Michael Havas on January 3, 2013 at 12:59 pm under event, seminar. With every new year it is often rewarding to look back at the past one and note all of the achievements and changes that were made. The department of Atmospheric and Oceanic Sciences did just that and producred a holiday newsletter looking back at the past year. Please have a look! Published by Michael Havas on December 20, 2012 at 3:07 pm under announcement. 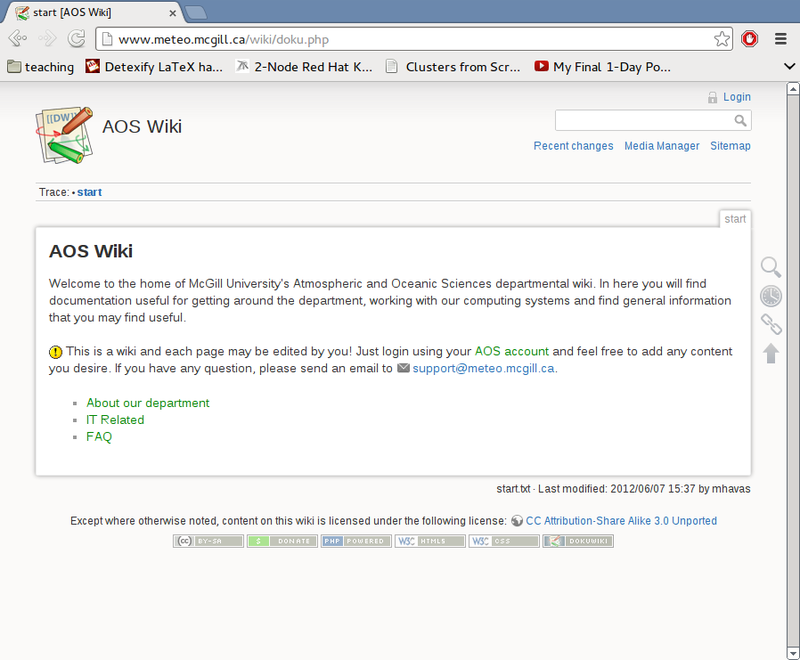 The AOS departmental wiki has a new look! Remember, you can login with your AOS account to make any changes you feel may be beneficial to the department. If you have any questions or concerns, please contact support@meteo.mcgill.ca. Published by Michael Havas on November 21, 2012 at 1:40 pm under IT. Published by Michael Havas on November 20, 2012 at 4:52 pm under announcement, IT. Annual-mean climatology (1979-2005) of 100-hPa temperature from a) ERA-Interim and b) ensemble of CMIP5 models. White contours denote OLR from observation and model ensemble respectively. c) Taylor diagram of the temperature field within 15S-15N for individual models (open and closed circles) and their ensemble (cross). The climatology and variability of temperatures in the tropical tropopause layer are investigated in 16 Coupled Model Intercomparison Project Phase 5 (CMIP5) models for historical simulations. The climatology of 100-hPa temperatures compare well with ERA-Interim reanalysis. The models possess reasonable temperature minima in the deep tropics, but some models also have a warm bias or a bias in the location of the temperature minima. The CMIP5 models generally capture the phase of the seasonal cycle in 100-hPa temperatures, but the amplitude of the seasonal cycle varies greatly among models. The interannual variability in 100-hPa temperature is associated with the El Niño-Southern Oscillation (ENSO) and volcanic forcing in observation and CMIP5 models. Most of models successfully capture the ENSO-related large scale response, but the response to volcanic forcing is overestimated in many models. On intraseasonal timescales, observed and modeled variability is dominated by equatorial waves (Kelvin, inertio-gravity, and mixed Rossby-gravity waves) and the Madden-Julian Oscillation (MJO). Most models show variability related to the equatorial waves, but significant biases are found in the phase speeds of the waves when compared to ERA-Interim. The MJO signature is weak and non-distinguishable from the Kelvin wave power in most CMIP5 models. Published by Michael Havas on November 20, 2012 at 3:01 pm under event, seminar. Most current sea ice models are based on the viscous approximation introduced by Hibler (1979). These viscous-plastic (VP) models approximate the small elastic deformations by the viscous deformations of a creeping flow. 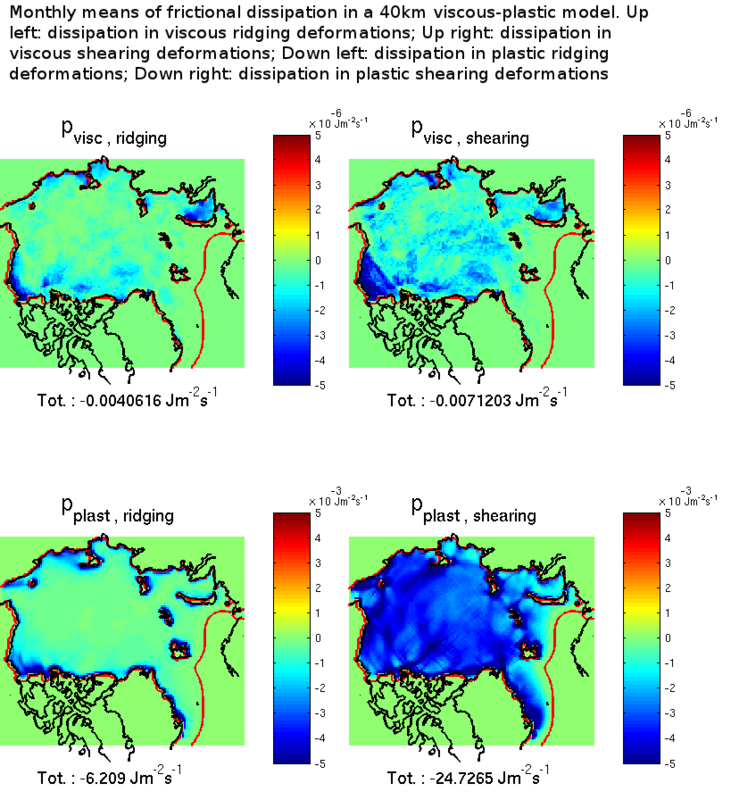 The resulting numerical treatment is much more simple than in earlier sea ice models, but viscous deformations introduce a non-physical energy sink in the model since they are not reversible as the elastic deformations. The project is aimed at assessing the consequences, physically speaking, of this non-physical energy dissipation in the models and therefore verifying the validity of the VP approximation. The dissipation is studied using the kinetic energy balance that is derived using the continuity and momentum equations for sea ice. This analysis allows us to evaluate the different terms of the balance and look at the relative importance of the viscous dissipation. The results will be presented for a 40km-resolution run of 1 year. The dependence of the viscous dissipation on the number of Newton loops of the numerical solver of the momentum equation is also studied. Preliminary results at 20km-resolution will also be shown. Published by Michael Havas on November 15, 2012 at 2:28 pm under event, seminar.